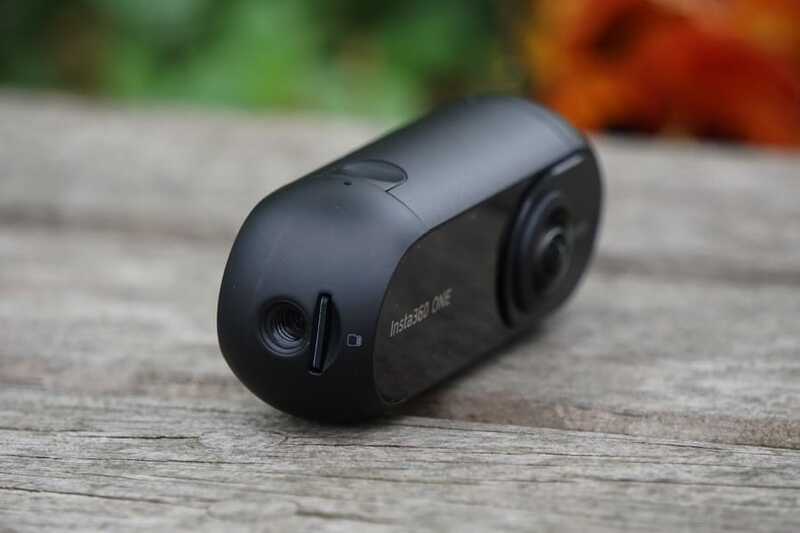 Last week we posted up news of a new action camera with a twist, you can read the details here but here’s a quick intro for those who missed it. 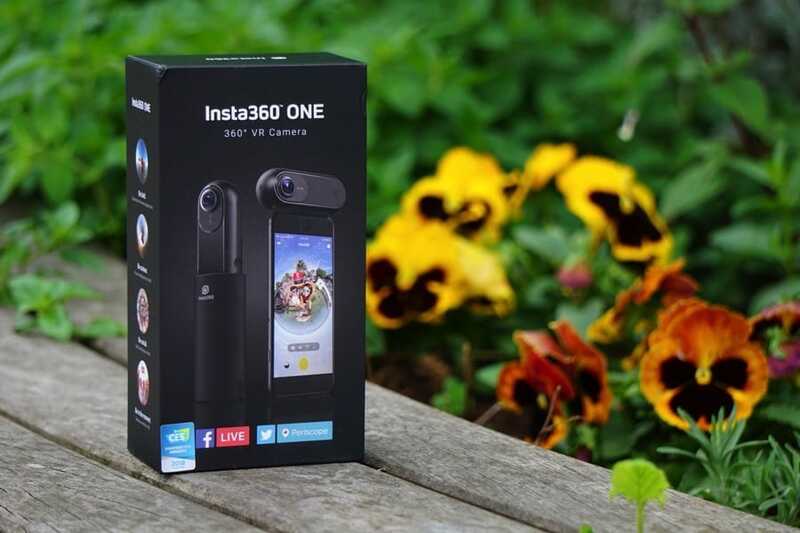 Insta360 is an action camera manufacturer focussing on devices that record and stream 360 video and photos. 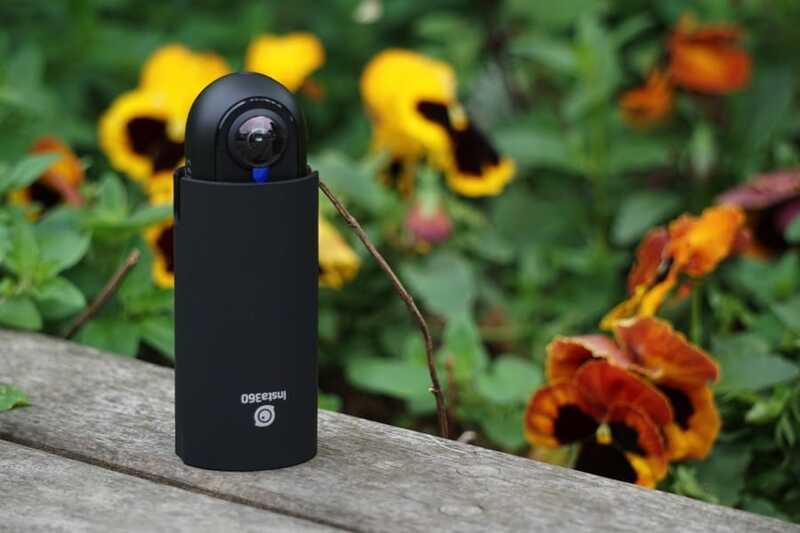 The brand’s latest device is the Insta360 One, a camera that offers 360 photography, video and Live streaming video all in a handy, pocket-sized package. The Insta360 One differs from rival devices due to its small size, relative affordability and the fact that it will work remotely or plug directly into an Android or iOS device. 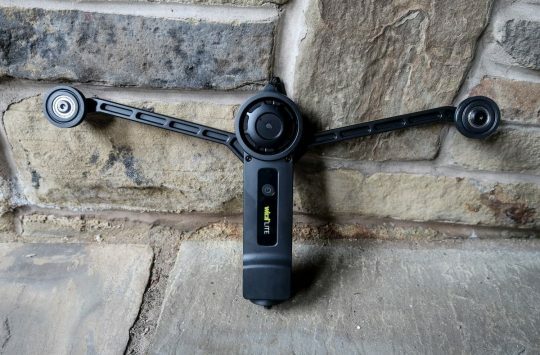 Which brings us to today, where a largeish package arrived at Singletrack Towers containing the Insta360 One and a bunch of bike specific accessories. 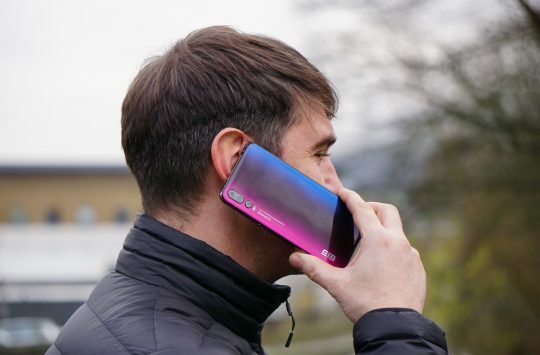 We’ve only had the chance to open up the package and take a look at the contents and have a quick play with the app so we can’t bring a full first impression or review just yet, but we do plan to work on those over the coming weeks. 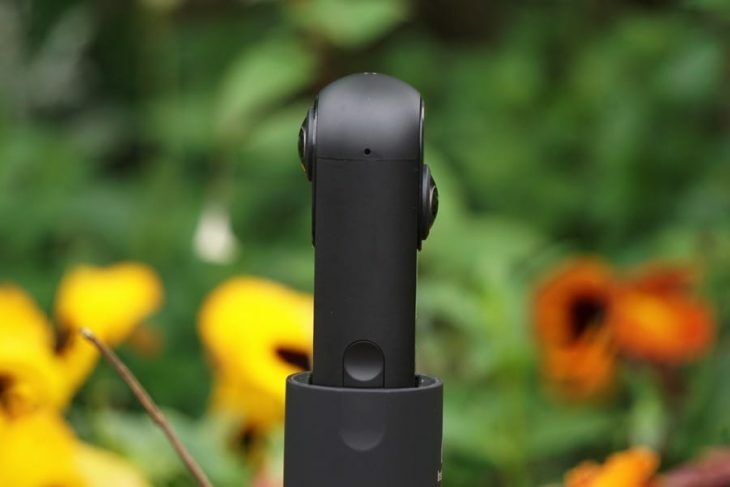 The Insta360 One is sold as a camera with small stand/protective case and includes a USB cable for charging and a small piece of wire for when you want to swing it around! Yup, you read that correctly. One of the features of the One is a ‘Bullet Time’ feature (if you’re a fan of the Matrix you’ll know this cool effect) which actually requires you to screw in a wire and swing the unit around in a circle! We can’t wait to try that feature out. Separate bundle packages are available to choose depending on what activity you plan to use the One for. 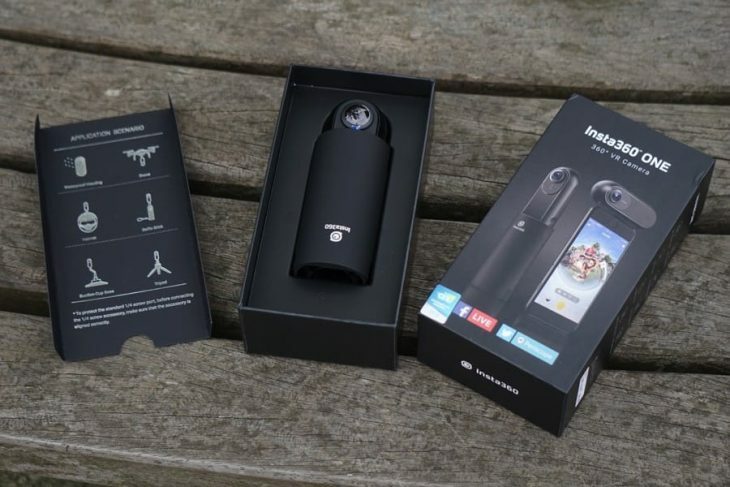 Insta360 included a Bike bundle for us which includes helmet mounts, bar mount, and even a selfie stick. Each One comes with a small plastic stand that also doubles up as a protective case for transportation. There is also a waterproof housing available for the One for when things get splashy but we haven’t been sent one for our test. 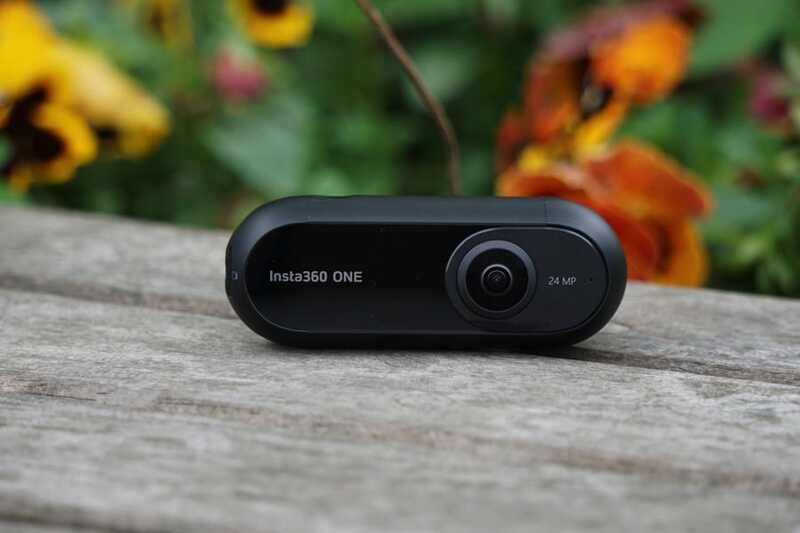 When using the Insta350 One remotely in the stand, you must connect the camera to your smartphone via the dedicated application and use Bluetooth to remotely control photo, video or Live video. 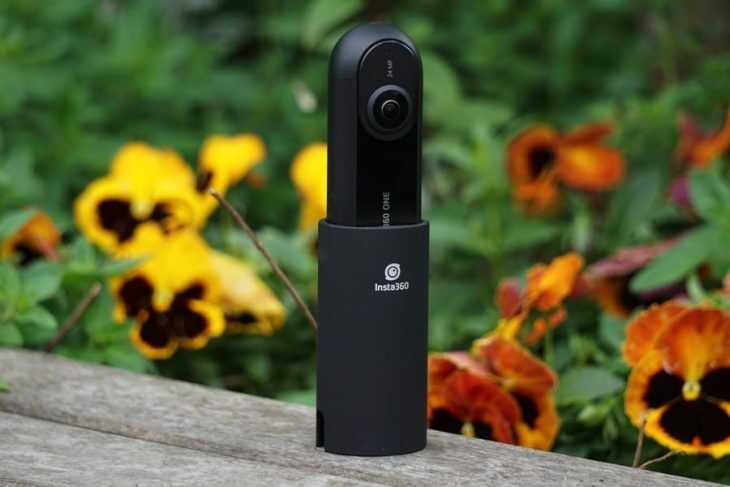 Interestingly the app doesn’t offer a live preview, but as the camera is shooting in 360 you can be pretty confident your capturing everything. We’ve been sent the Apple version of the camera which has a Lightning plug built-in so that you’re able to plug the One directly into your iPhone. 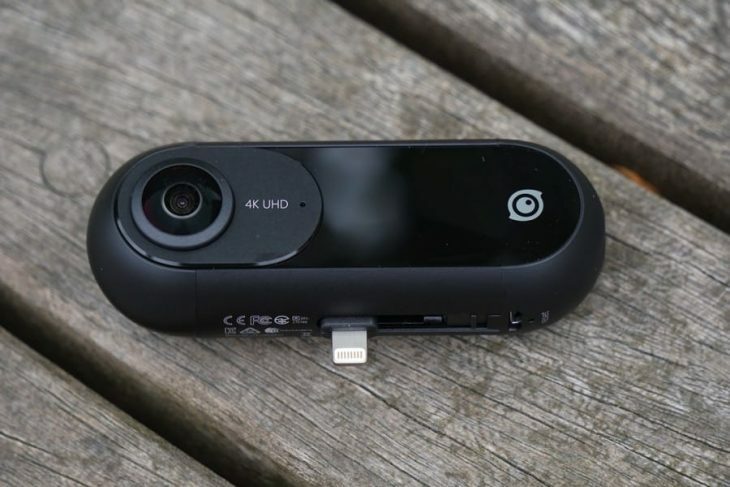 There’s also an Android model with either USB or Type C USB ports available, however, the Android version of the camera doesn’t yet support all of the same cool features as the iOS model. 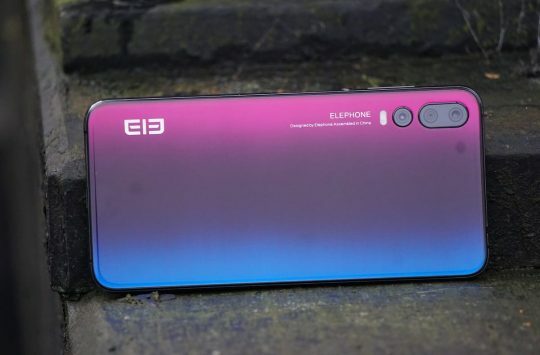 The One is a very simple design with just a single button used to power the camera on, manually take photos and turn the camera off. LED notification lights turn blue when the One is powering up and remain green when ready, and there’s a micro SD card bay filled with an included 8GB SD card. Micro SD card bay and tripod fixing. An internal 820mAh battery is charged with the included USB cable, and you can also plug the camera directly into a computer to transfer files. The final detail on the One is a standard, threaded tripod connection. This will work any tripods you own and screws directly to the included telescopic selfie stick. Watch out for some 360 fun! 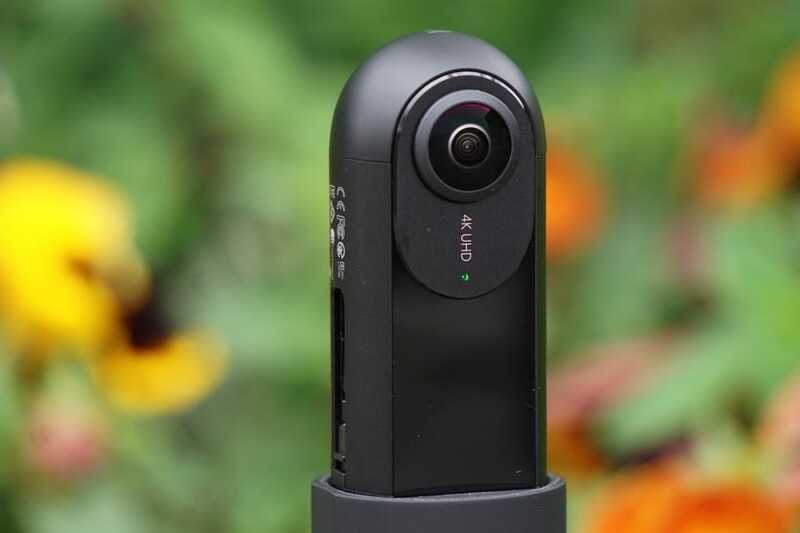 As already mentioned, we’ve only just received the Insta360 One and haven’t had much playtime with it, but so far we found the app simple to use and connecting to an Android device was fast and trouble free. We just have to wait for the office iPhone to charge now so we can really start the fun. We’ll be taking the Insta360 One to Fort William this week for the UCI World Cup Downhill, so keep your eyes on our Facebook and Instagram feeds for some 360 action.